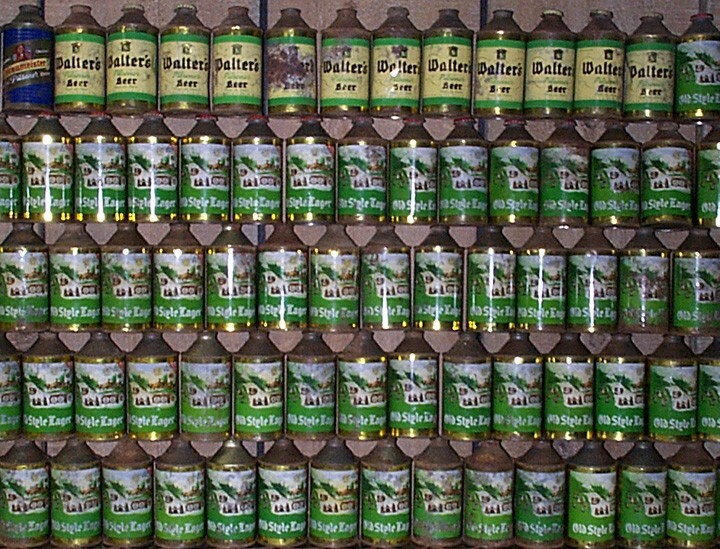 Here's a photo of some nice Midwest cans that came from a phone call from an estate/antique dealer in Kansas. Needless to say I was very happy with the condition! Some of the over 100 Old Style cones that came from a loft in a warehouse near LaCrosse, WI. They were found by an electrician who had the good sense to box them up and take them home! The majority of them were USBC 177-28. 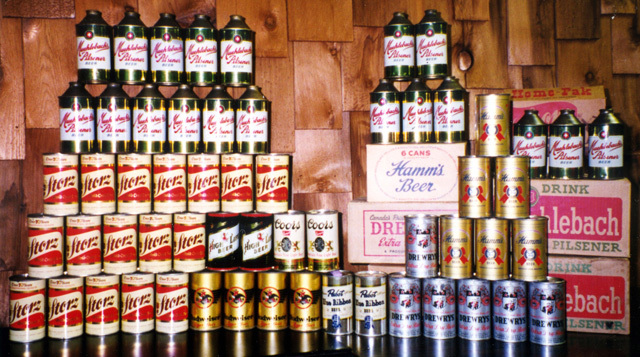 Other notable cans in this find: Walters & Braumeister cones & Bud split-label flats.